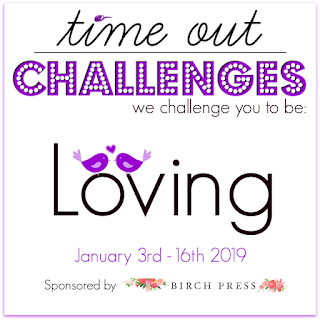 It’s time for the first Watercooler Wednesday Challenge for 2019! 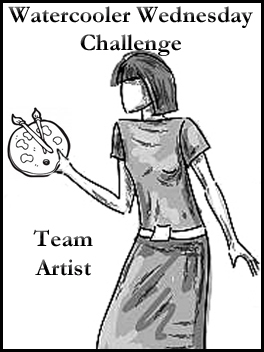 This week is Dawn’s Feminine “Anything Goes” Challenge! Today’s card is a very feminine birthday card. The cross – stitch flowers are Waffle Flowers – The Frosted Pumpkin Stitchery layered flowers. I love the way it reminds me of my days of cross stitching! I must admit, when I saw this set, I fell in love and after watching a couple of videos, I thought it would be easy. However, although I’m really pleased with the result, I must say matching the layers is not that easy. I did find that you could cheat a bit and add a couple of stiches with pen, if it seems to be missing. The card was folded normally, but then a section was removed from the LHS. The top layer was cut using Spellbinders – Curved Borders Two die and layered over some pale pink card, before being added to the card front. Along the side, I added a strip coloured with the same ink used on the flowers. The sentiment is from the same flower set. Wow, this is gorgeous, Helen! What a beautiful crossstitch design. Thanks for stopping by my blog and leaving me love on my “Sweet Tea” card. I hope you are now a follower so that I can include you in my prize draw! This is so very pretty Helen, I just love that delicate lace border! Wow! So pretty and perfectly done. Great blog! Do you have any tips for aspiring writers? I’m planning to start my own site soon but I’m a little lost on everything. Thanks. I’ve been happy with wordpress. I can’t see the point in paying for a blog. It has taken a while and some learning along the way, but now I have most things working I think. Good luck!